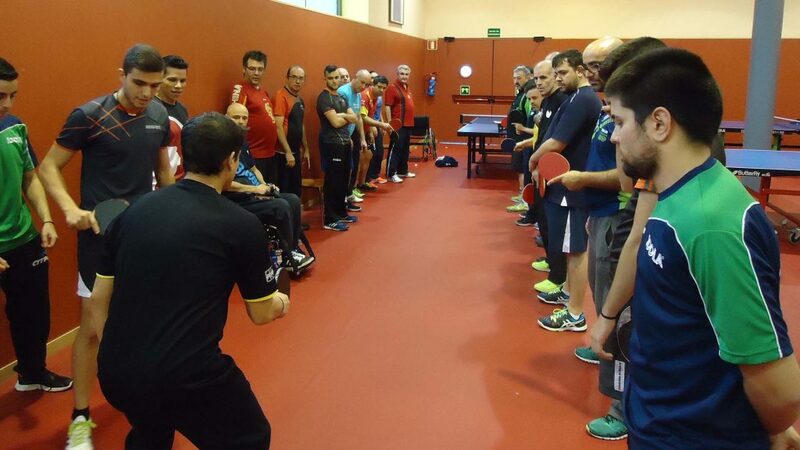 Located close the Spanish capital city of Madrid, San Sebastian de los Reyes was the recent home for an ITTF/PTT Level One Coach Education Course followed by Course Conductor Training. Supported by Olympic Solidarity and organised under the auspices of the ITTF Development Programme, proceedings commenced on Monday 28th November and concluded on Friday 2nd November. The expert on duty was the host nation’s Ramon Ortega Montes, always known as Moncho. Overall 27 students attended, two being female; the group comprising mainly physical education teachers and professional coaches. Course members travelled from throughout the country but most notably there was one member from Italy as well as one from Peru and one from Venezuela. Venue for the whole itinerary was the San Sebastian de los Reyes High Performance Table Tennis Centre; the venue provided excellent conditions. Pertinently, the administrative support from the National Olympic Committee added to the occasion to produce a most successful course. Present to open proceedings was David Corral, the Manager of the Royal Spanish Table Tennis Federation. Always the Para element of such course proves fascinating; in San Sebastian de los Reyes, there was added interest. Two members of the course were disabled; one being a Class 2 athlete, the other Class 9; it was for the members of the course experience at first hand. Furthermore there was one most worthy name present; Alfredo Carneros, for many years a stalwart of the national team attended. The presence of Alfredo Carneros underlined the diversity of the students present. 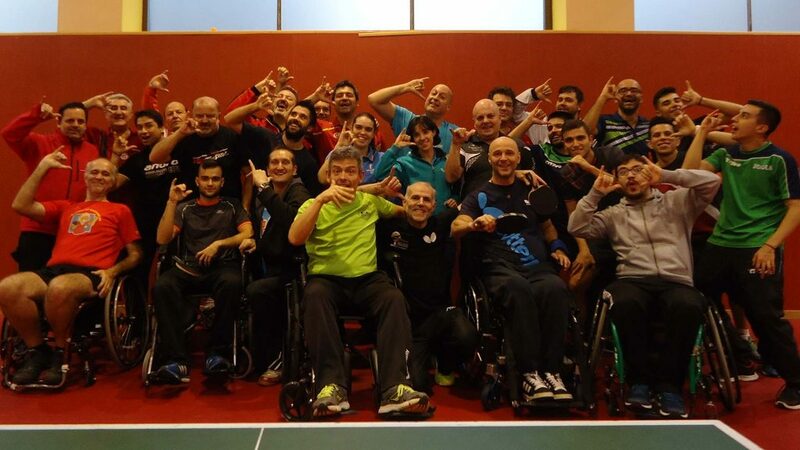 Present for different reasons; Miguel Angel Toledo and Miguel Angel Arevalo are involved in helping people with disability, whilst Alex Kirsch simply wanted more knowledge in order to help his son. A successful course; impressively 26 members met the requirement of a full attendance and thus received certificates.